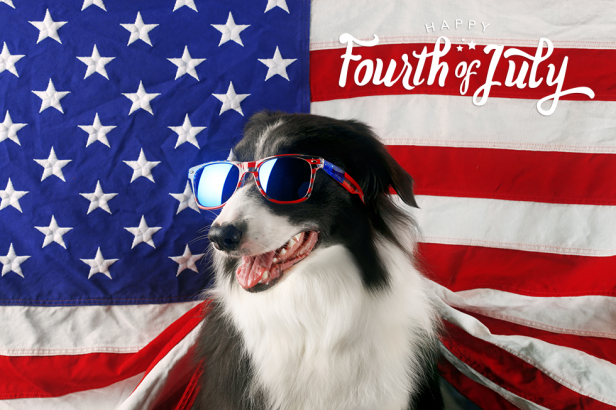 Happy 4th of July from The Animal Keeper! Good Dog 101 gives you a chance to learn to speak Dog 101, while having a fun and enriching time with your dog. Class gives you the opportunity to watch demonstrations, ask questions, and practice, while getting coaching from an experienced instructor. Classes are also a great place to enjoy other people and their dogs; empathizing with their frustration, supporting one another, sharing solutions and successes. 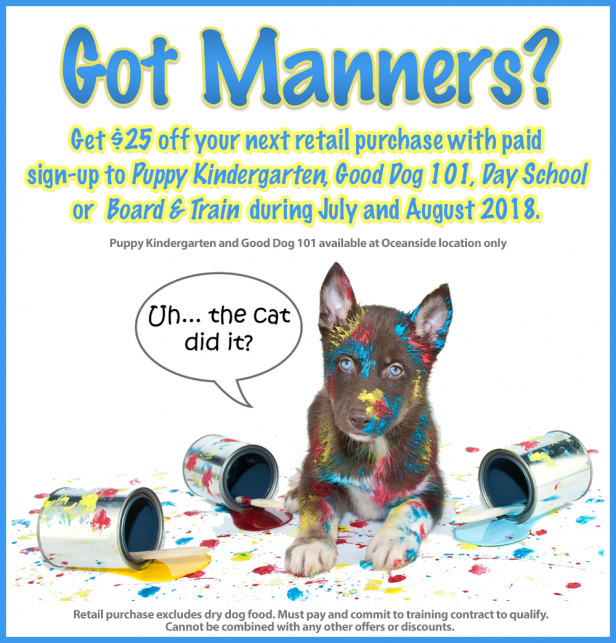 Puppy Kindergarten may be even more important than Good Dog 101. Lack of early, positive socialization is a leading cause of major behavior issues in dogs. Prevention is easy and tremendously fun! Vital, too, is getting the puppy on the right paw with house manners (housetraining, play biting, etc.) and a gentle introduction to obedience training. or Board & Train during July and August 2018. Click through to read more and print offer! National Ice Cream Day is July 15th! 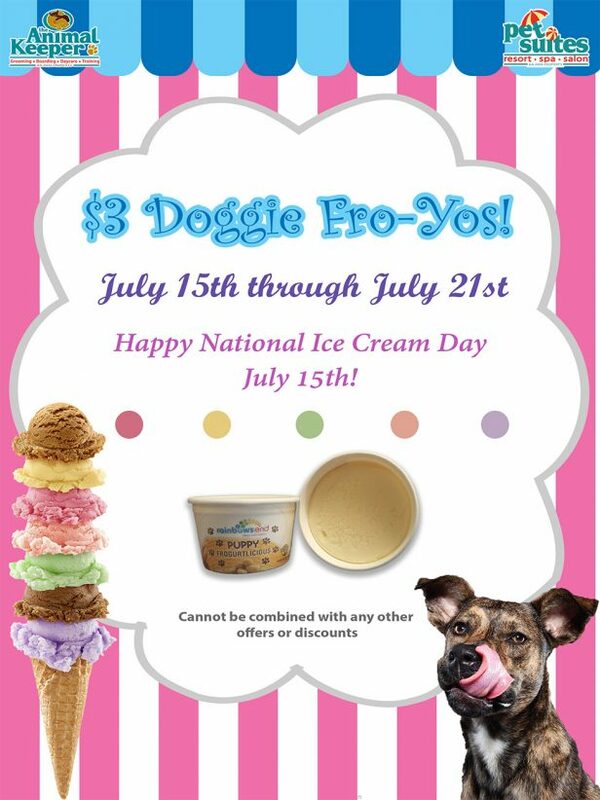 Enjoy $3 Doggie Fro-Yos July 15-21! Featured Pets & Team Members! 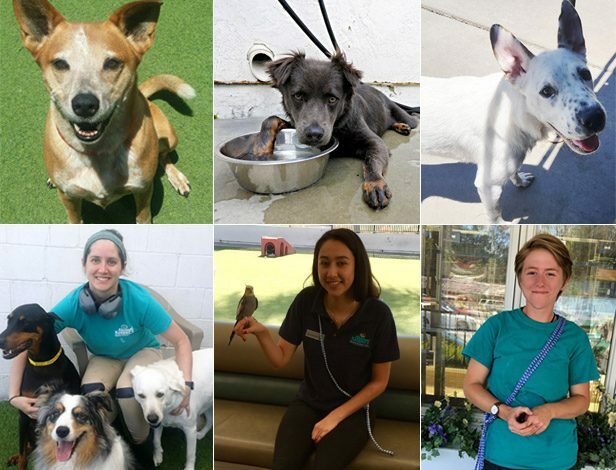 Check out our featured pets and team members! 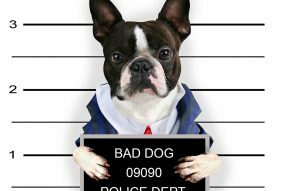 Is your dog naughty occasionally? Here are some Rules of Problem Solving to follow. Predict and prevent problems. 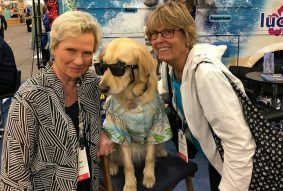 Once again, we attended the Superzoo trade show in Las Vegas. 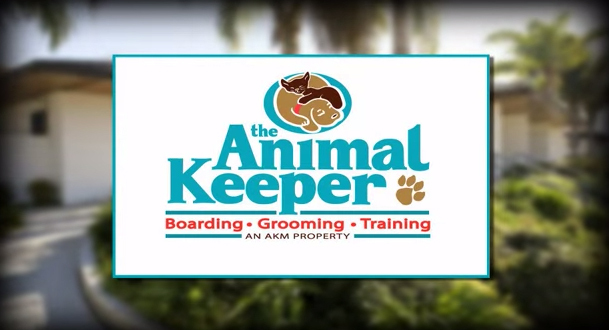 We scouted out all the best items for our wonderful customers, as well as got a sneak peak at some new and exciting items people have come up with to better the lives of pets around the globe. We met some fun and furry friends who were more than happy to show off their favorite items and show us a few tricks.